Free WordPress themes are very important for bloggers. 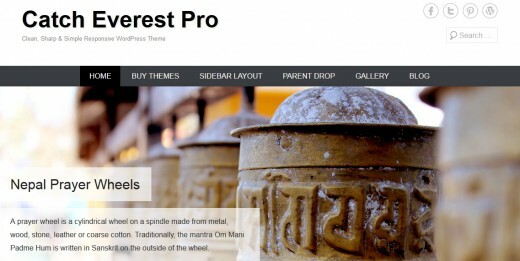 There are a number of free WordPress themes that offers you great variety. It allows you to choose the theme that suits your site the best. The free WordPress themes are good for new sites. You can now make a beginning and customize your website looks without having to pay anything. Today, in this article we have compiled a list of some of the amazing wordpress retina ready free themes for your new projects. We would love to hear your feedback, so please don’t hesitate to comment below. If you have interesting examples, tell us about it in the comments. If you like this effort then don’t forget to take a look on other articles: Useful Free Sliding Plugins for WordPress, Best Free WordPress Minimalist Themes 2015, Awesome Barber WordPress Premium Themes and Free Google Map Widgets for WordPress. Influence is a free WordPress theme that gives you a canvas to share your videos, photography and content. It features a modern, responsive design and tight integration with our own Page Builder plugin to make sure your content is responsive too. InkNess is a responsive, retina ready Royal WordPress theme, with absolutely amazing features. The feature list is long enough to be not explained in 2-3 lines. This theme is suitable for all kinds of websites. You just need to use the right images. BoldR is a bold, responsive, magazine style premium WordPress Theme. Based on the powerful Icefit framework, one of the most advanced WordPress theming framework in the world, it is perfect for tech or design oriented blogs and creative business websites! GeneratePress is a lightweight HTML5 and CSS3 framework that allows anyone to create a completely unique website right before their eyes. Adjusting the layout and colors of your website couldn’t be easier, simply use our options in the Customize section of the Dashboard and watch the changes happen. The Resolution Multi Purpose WordPress Theme is encompasses elements from the Twitter Bootstrap Framework and comes with a number of features that increases the usability of any website powered by it. Exclusive is a unique theme designed to best fit business style websites. It comes with a large list of customizable features, the back end is intuitive and easy for navigation. The theme is fully responsive. Estate is a clean, flexible business theme. It’s well suited to business, portfolio and personal websites. One of Estate’s best features is its Page Builder integration. Adventurous is a Simple, Clean, Minimal, Lightweight, Box-Shaped and Full-Width Responsive WordPress Theme. It is based in HTML5, CSS3 and very own Catch Themes easy to use Theme Options panel, which make this theme highly customizable and flexible. 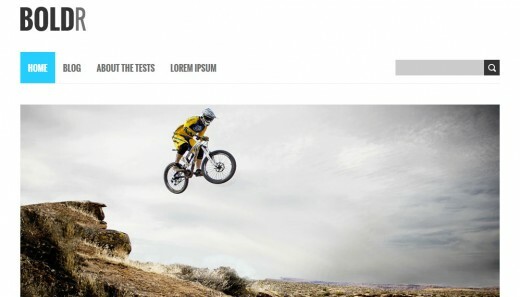 Catch Everest is Simple, Clean and Responsive WordPress Theme which automatically adapts to the screen’s size, ensuring that your content is always displayed beautifully no matter what device visitors are using. Meris is a new free theme for WordPress. Following the trend of web design, Meris adopts responsive layout. This clean theme is developed using Bootstrap 3, which makes the theme works well with desktops, smartphones, and tablets.